Thank God for the archives, where this thread can be stored forever. Yes, my child, what is it? "Oh, No! They say he's got to go..."
Okay, you've got the "purposeful grimace," but where's the "terrible sound?" Look, I'm a busy deity, and setting up a cross-dimensional internet connection isn't exactly easy. Cut me some slack. Let's get an expert's opinion. Oh, You are not allowed to view links. Register or Login what do you think? No... you think? How many people do you know who refer to Godzilla as their Lord and Lizard? Honestly I was just amazed that "God" wasn't taken and, well, I had to do it. 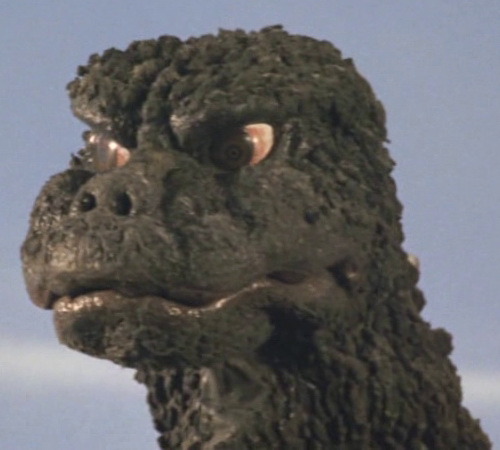 I had you pegged as the culprit, but for some reason I thought you would know that, your Lord and Lizard's name, Gojira, actually means something more like "Gorilla-Whale," than "God -Lizard." But now, what's God gonna call himself when He logs-on? I imagine he'll use his real name.